Mac ‘n’ cheese is good, we all know that, but a well-made macaroni cheese, with the addition of possibly the most luxurious seafood around, well what more is there to say really? So it’s safe to say that this dish isn’t just any old mac ‘n’ cheese, it’s probably up there with the best you’re ever likely to taste. Let’s get cooking!!! 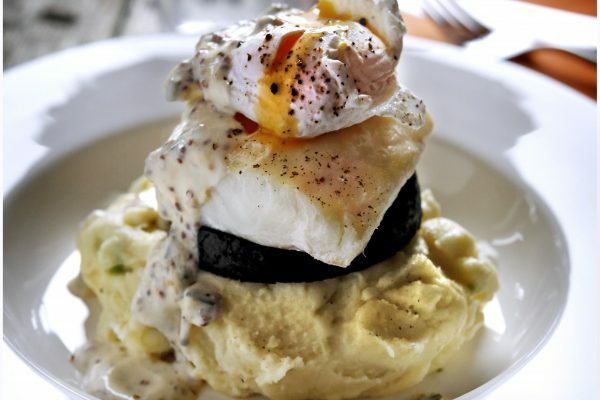 If you really want this dish to hit the mark then it’s all about quality, quality, quality!! What’s the point in splashing out on lobster then throwing in cheap cheese and paste, you’ve got to go for quality with this dish, nothing else will do, take our word for it!! That might make it a special occasion dish but it’s definitely worth the extra cost and effort. To serve we recommend nothing more than maybe a crisp green salad and some crusty bread, and if you’re that way inclined, a nice crisp white wine will finish it off beautifully! Cook the macaroni in a large pan of boiling salted water for 2 minutes less than the packet cooking instructions then drain. Melt the butter in a pan then gradually stir in the flour to form a paste, cook gently for 3 minutes. Gradually add the milk a bit at a time stirring until smooth and all the milk is incorporated then simmer very gently for 10 minutes making sure it doesn’t burn. Add the cheddar and Gruyere cheeses, the mustards, white wine and double cream and simmer for 5 minutes then season to taste with salt and pepper. Mix together the sauce, lobster meat, spring onions and macaroni thoroughly and pour in to a large ovenproof dish. 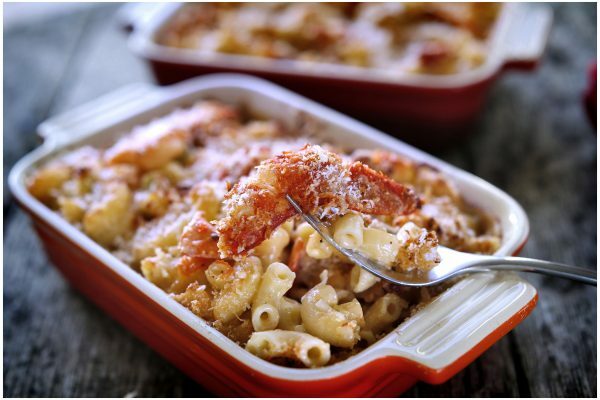 Mix together the Parmesan, breadcrumbs, chives and smoked paprika and top the macaroni with it. Bake in the oven at 180’c for 25-30 minutes until cooked through and golden on top. If for whatever reason you’d rather not put lobster in to today’s mac n cheese but like the sound of it otherwise, then fear not, all is not lost. You could just leave the lobster out and make a delicious vegetarian macaroni cheese, or your other option is to replace the lobster with something else. 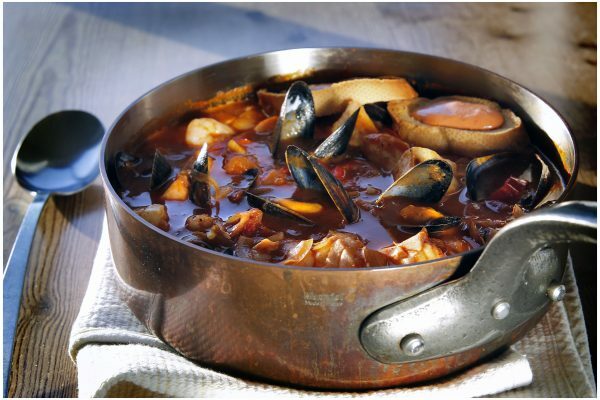 Follow the recipe to the letter and think about adding other ingredients but make sure they are cooked, perhaps, prawn, smoked haddock, chicken, chorizo, black pudding, bacon……the possibilities are endless!